The Federal Government will state its position on the Volkswagen (VW) emission scandal this week, Dr Joseph Odumodu, the Director General, Standards Organisation of Nigeria (SON), has said. The SON’s helmsman was asked why the federal government was silent on the matter and whether the country was not at risk. He said: “we are at risk and we are working out something, but it involves more than one agency. “Next week you will be notified of our position, but currently, the standard emission in Nigeria is at the very basic level. “While Nigeria is at level 2, Europe for example is at level 6,’’ Odumodu said. 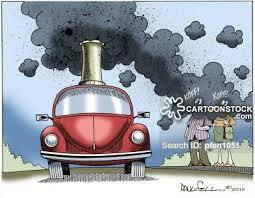 The United States Environmental Protection Agency (EPA) had recently discovered that some Volkswagen diesel engine cars on sale in that country had devices that could cheat emission tests. The EPA’s findings cover 482,000 cars in the U.S. alone, including VW brands such as Audi A3, Jetta, Beetle, Golf and Passat. The German car giant had since owned up to the malpractice, admitting that about 11 million of its cars worldwide were fitted with the technology dubbed “defeat device’’. 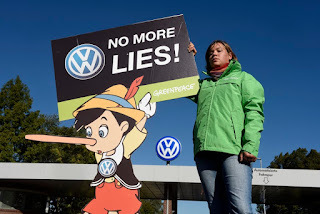 Many countries, including South Africa, had reacted to the scandal by carrying out investigations to test the legitimacy of VW’s emissions claims. Mr Aminu Jalal, the Director General, National Automotive Design and Development Council (NADDC), attributed Nigeria’s silence on the scandal to the status of its emissions standards. Jalal said that the country was still at Euro 2 (the second level of the European emissions standards), while VW cars affected in the scandal cheated on far higher levels. He said: “we are still at Euro 2. Even if those vehicles that are cheating abroad are imported to Nigeria, it is likely that their emissions would not be violating Euro 2. “When they cheat on Euro 5, it means their emission levels are in violation of Euro 4 or 3, but Nigeria is currently at Euro 2. The NADDC boss said that Nigeria was still at Euro 2 due to a number of factors, including the quality of our fuel, which he said, could not support higher standards. He explained that the quality of fuel was one of the bases of emission standards, adding that Nigeria must first increase its fuel standards to attain higher emissions regulations. “Emission standards go hand in hand with fuel quality. Our fuel quality is not good enough to support higher emission regulations. “The specification for sulphur in our fuel standard is too high. Currently, it is 3000ppm (parts per million) for diesel and about 1000ppm for petrol. “For us to go for an emission standard higher than Euro 2, we have to bring down the specification for sulphur in our fuel. “We are already working with SON to bring it down to 50ppm, then we can have more rigorous standards like Euro 4 and 5,’’ he said. Jalal called for the modification of the nation’s refineries to enable them produce high quality fuel.